Every day at 9 a.m. during “recess,” Darren and Jacob run, play games and laugh together. At age 7 and 8, the children would typically be in first grade, moving up every school year with their peers of the same age. But Darren and Jacob (not their real names) are not in a public school setting and are instead the first two children attending classes at the Texas Autism Academy, the new nonprofit private school for children with autism serving ages 4-10. It opened in South Montgomery County Sept. 18 at 1009 Pruitt Road. 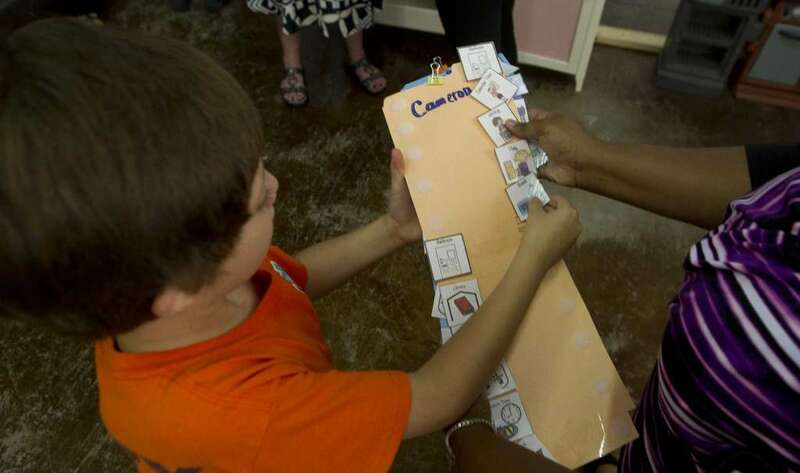 “A large part of what’s missing in the public schools for children with autism is social skills, so that’s a big component of what we’re trying to endorse,” said Cary Leakey Mollinedo, vice president and director for ASD Hope, the organization that runs the Texas Autism Academy. Mollinedo, a former public educator with 15 years of experience, said the academy integrates applied behavior analysis elements into its curriculum to help support children on the autism spectrum, a feat public schools or other mental health institutes in the area do not practice. Autism Spectrum Disorder is a developmental disorder that impairs an individual’s ability to communicate and interact with others at school, work or in other areas of life, according to the National Institute for Mental Health. Individuals with ASD may get easily upset by a slight change in routine, make little to no eye contact, use words that don’t make sense in a particular situation and have trouble understanding other people’s body language. ASD affects 1 in 68 children in the United States, according to the Centers for Disease Control and Prevention. More than 3.5 million Americans live with ASD, the fastest-growing developmental disability. In Montgomery County, where more than 500,000 people live, roughly 2,000 children have ASD, Mollinedo said, adding that while numbers for people living with ASD are growing, research isn’t clear as to whether that’s because more children are getting the disorder or because it’s being diagnosed more. One of the goals is getting the two children, on opposite ends of the autism spectrum, to interact with one another. While one child speaks freely and often, the other child is relatively quiet and speaks “when he wants,” Walls said. 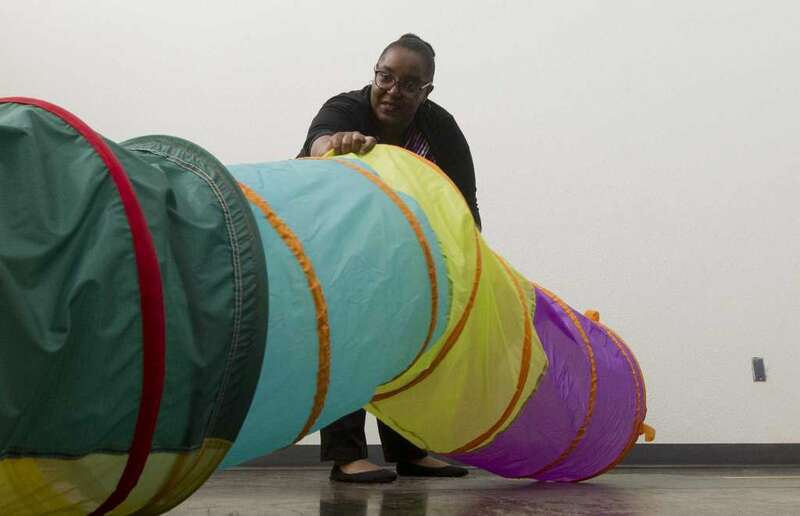 Through encouragement and games with instructors, the children are learning how to behave in a social setting, she said. By having ABA integrated into the curriculum, young children who attend TAA get a head start over children with ASD who attend public schools, Mollinedo said. 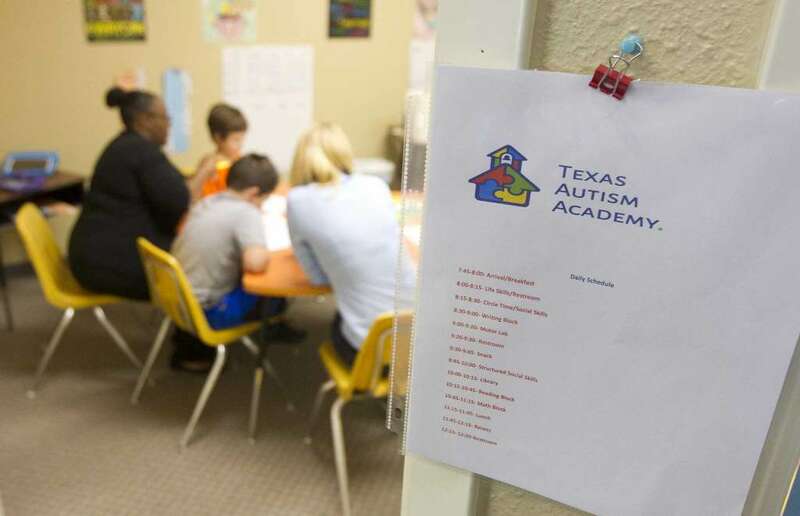 The Texas Autism Academy has a student-to-teacher ratio of 7:2. Each year, the plan is to grow by age until it reaches individuals up to age 22. 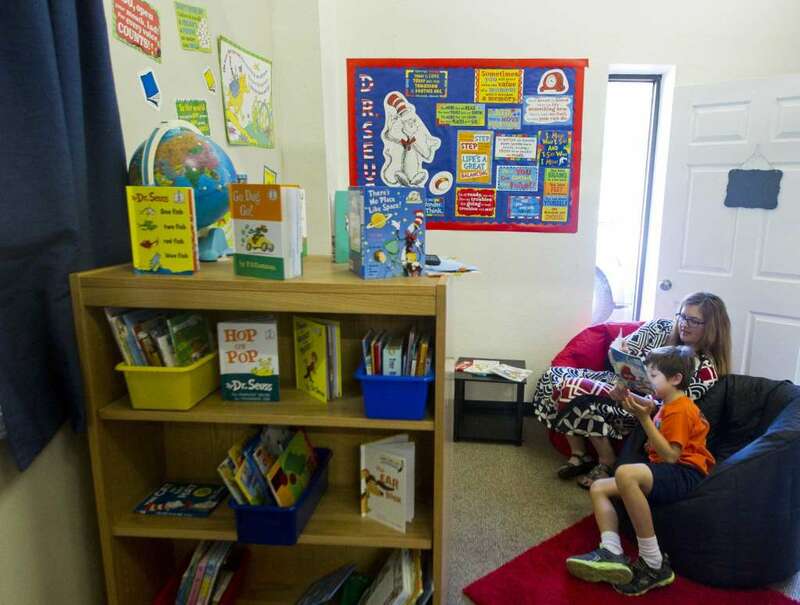 With individualized goals set by parents, students who progress at TAA will have the option to transfer back into a public school setting, Walls said. Tuition at the school is $21,000 per 10-month school year, which includes parent training resources. Half-day programs for younger children are available. Because it is a private school, it does not receive federal or state funding and relies on tuition and donors to help fund the operating budget not covered by tuition. Contact us for ways to donate, to become a sponsor or a board member. 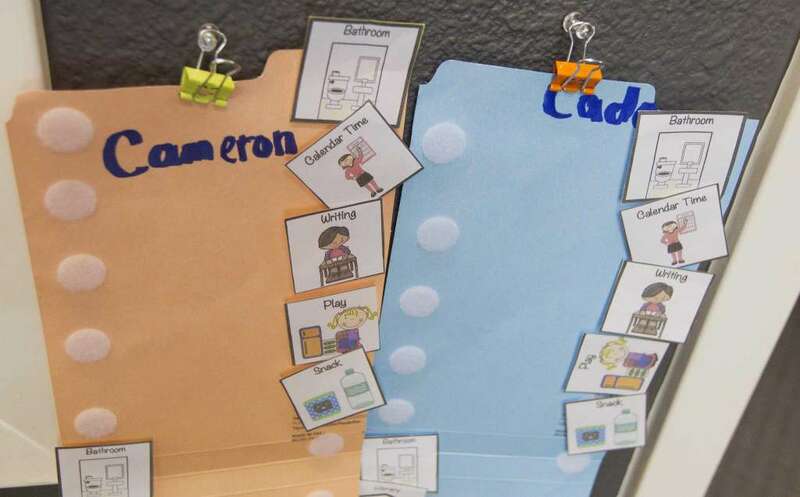 Visual schedules are seen hanging outside a classroom at the Texas Autism Academy, Tuesday, Sept. 26, 2017, in Spring. The academy is non-profit, private school for children with autism. A class schedule for the day hangs outside a classroom at the Texas Autism Academy, Tuesday, Sept. 26, 2017, in Spring. The academy is non-profit, private school for children with autism. Director of Curriculum Shelinta Perez helps a student with a visual schedule after an activity at the Texas Autism Academy, Tuesday, Sept. 26, 2017, in Spring. The academy is non-profit, private school for children with autism. 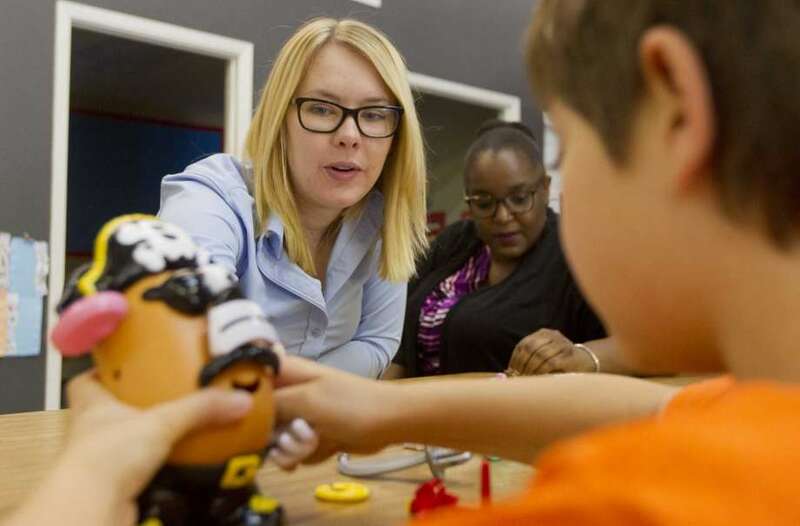 Liz Fajaredo, a board-certified assistant behavior analyst, helps a student.